Contact accommodation for more information. Red Earth—Kabini is located in H.D. Kote Taluk, Mysore District, Karnataka. Brand Kabini needs no mention. Kabini has been rated as one of the top five destinations, worldwide, for wildlife. Red Earth is located in beautiful surroundings absolutely untouched by development and yet very close to civilization. The earthy but luxurious cottages come equipped with king-size beds and offer beautiful views of the backwaters. Large en-suite bathrooms include hot/cold shower facilities. Choose from three different types of cottages. Set in clusters of ten, each with a lake in the centre, all the villas have a rustic but luxurious feel to them. The walls are made of mud, making them more eco-friendly. Each cottage comes with an open-air Jacuzzi and an en-suite bathroom. Three of the cottages are exclusively for honeymooners. One cottage is disabled friendly. 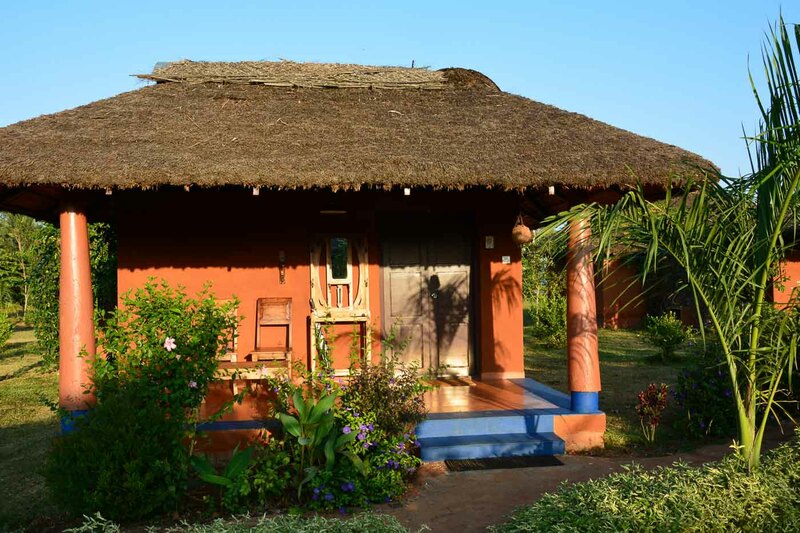 All-inclusive packages are available for Red Earth Kabini. Rates start at $300 per night.